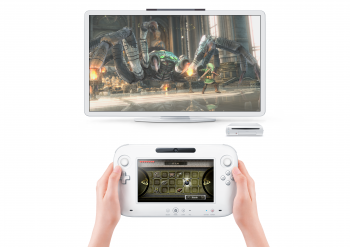 Nintendo has apparently been cutting corners in places the Wii U can't really afford. French technology site, 01net, is reporting that developers are having difficulties making games for the Wii U. Sources suggest that the problem is the hardware built into the Wii U's unique controller, which isn't doing what it's supposed to be doing. According to 01net's sources, the wireless function of the Wii U's controller does not work at all, even after three different prototypes. A fourth version is supposedly on its way, and is expected at the end of the month. Until then, and perhaps after too, developers are using a wired controller, which still doesn't work properly, even with Nintendo sending software updates for it on an almost daily basis. Supposedly, the chip that powers the controller is a little on the cheap side, which is making it impossible for developers to work on the Wii U's more interesting and unique features. If these rumors are true - and 01net has a good track record in that department - it sounds like someone at Nintendo has made a really, really big mistake. Nintendo has hardly been secretive about the fact that it wants to keep manufacturing costs down for the Wii U, but it sounds like it might have to go back to the drawing board - literally - if it can't get the current hardware to work.